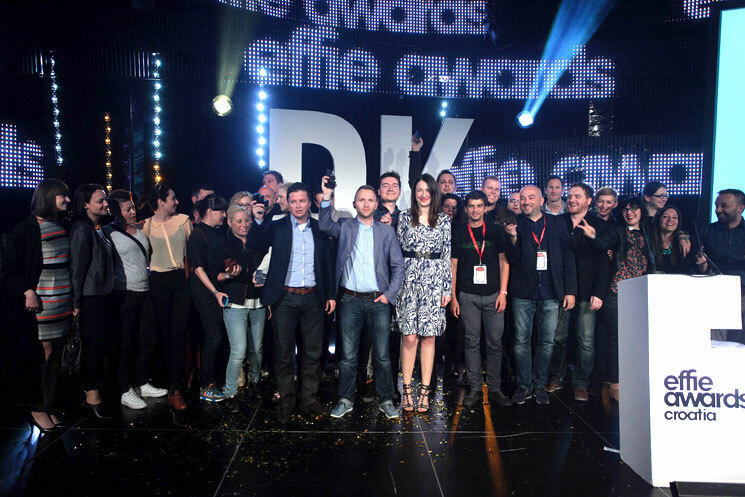 On May 17th, Effie Croatia held its 2014 awards ceremony to honor some of Croatia's most significant achievements in marketing effectiveness over the past year. One gold, four silver and two bronze Effies were awarded. The team Ledo, Imago advertising agency and Unex took home a gold and the Grand Prix for their case, "Leonardo - the quest for ice cream genius". Other top winning teams included client Ekopark Kraš and agencies Kraš and DRAP for their case, "Animal Kingdom"; client Hrvatski telekom and agencies McCann Zagreb and Digital Media Services for their case, "Hrvatski telekom - MAXobitelj"; and client BabyWatch and agencies DRAP and Leptir. TB for their case, "BabyWatch - BabyWatch launch". The winners of the Croatia Effie 2014 competition were chosen by a professional jury of marketing professionals - representatives of advertisers, creative and media agencies, media companies and market research agencies, and headed by Maja Čulig from Tele2 Croatia. The Croatian edition of the Effie competition began in 2009 and is organized by HURA (Croatian Association of Marketing Communications). For more information on Effie Croatia and their 2014 gala, please visit their website. About Effie Worldwide ​Championing the practice and practitioners of marketing effectiveness, Effie Worldwide spotlights marketing ideas that work and encourages thoughtful dialogue around the drivers of marketing effectiveness. The Effie network works with some of the top research and media organizations worldwide to bring its audience relevant insights into effective marketing strategy. The Effie Awards are known by advertisers and agencies globally as the pre‐eminent award in the industry, and recognize any and all forms of marketing communication that contribute to a brand's success. Since 1968, winning an Effie has become a global symbol of achievement. Today, Effie celebrates effectiveness worldwide with over 40 global, regional and national programs across Asia-Pacific, Europe, Latin America, Middle East/North Africa and North America. Effie initiatives include the Effie Effectiveness Index, ranking the most effective companies and brands globally and the Effie Case Database. For more details, visit www.effie.org. Follow @effieawards on Twitter for updates on Effie information, programs and news.